Green Side Up Landscaping is a family owned and operated business with more than 21 years of experience. With roots as a full service tree company, we have since expanded into a full service landscape contractor, offering a complete range of custom landscaping, hardscaping and lawn care services to residential and commercial clients. 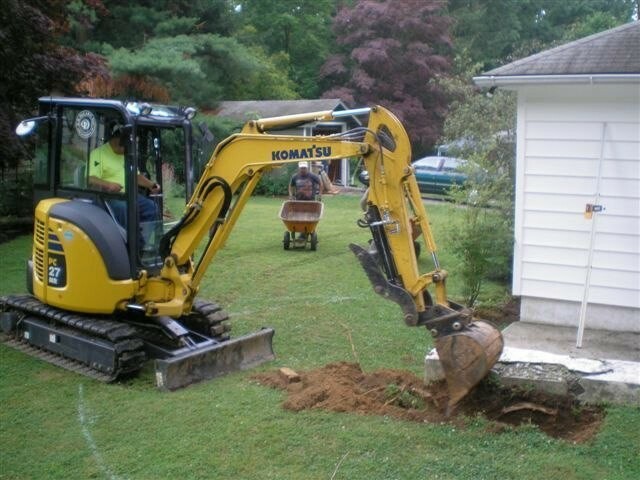 From custom landscape design to masonry, water feature installation, excavation and drainage, low voltage lighting installation, to providing irrigation solutions, Green Side Up will take care of all your outdoor improvement needs. We have also created play areas, sand pits, and custom ponds using EP Henry wall systems. Above all, we pride ourselves on our commitment to customer satisfaction, and we go above and beyond to exceed the expectations of our clients, taking care of even their most unique landscaping and hardscaping needs. We have even moved an above ground pool. You can count on our team to provide consistent, reliable service. Green Side Up Landscaping has loyal, hard working employees that have been with the company for many years and offer a vast knowledge of landscaping and hardscaping to ensure successful installations that will last for years to come. We also practice open communication in all aspects of our business to ensure that our customers receive the quality workmanship and service they deserve.